Starbucks announced on January 12 that it plans to open 500 new shops in China within this year. Chief executive Howard Schultz said that the company has confidence in the future of the Chinese economy and it is very bullish. The Seattle-based company plans to add 10,000 new jobs in China annually until 2019. Starbucks' expansion plan may seem aggressive, but Chinese consumers' coffee drinking habit is changing towards the direction that the world's largest coffee chain is more than happy to see. According to Kantar Worldpanel China, consumers in 27 tier-1 and -2 cities spent 19.4 billion yuan on coffee in the first 11 months of 2015. The annual market size of coffee will easily surpass 20 billion yuan. To help understand the volume, Chinese people have drunk more than 2.3 billion cups of coffee, whose combined length can circle the equator six times! Within such a big and fast-expanding sector, fresh coffee accounted for 83% of total sales value, while instant coffee, which jumpstarted China's coffee market back in 1980s, now has only 14% of the share. Ready-to-drink coffee is still a very niche segment. From a penetration rate perspective, fresh coffee (47%) is also leading the race to win more consumers in tier-1 and -2 cities than instant coffee (43%). These data painted a gloomy picture for the future of instant coffee brands. The slowdown of Chinese economy did affect the performance of most FMCG categories, but not fresh coffee. Kantar Worldpanel OOH panel has found that Chinese fresh coffee drinkers bought an average of nine times in the first 11 months of 2015, or below once every month, spending 37 yuan on each trip. These data indicated a very lucrative potential for this sector's growth, because it is still very low compared with one cup or multi-cups a day in western countries. "High frequent" Starbucks consumers, for example, bought only 2.7 times a month. This group of consumers accounted for only 20% of all Starbucks shoppers, but contributed more than 75% of its total sales. The rest 80% customers will buy once only every quarter or even every half year. 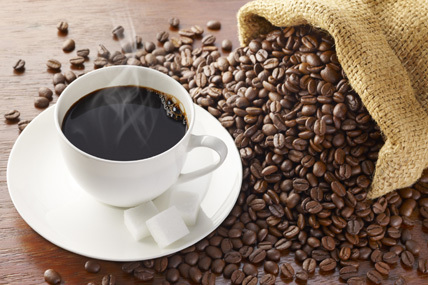 If all existing customers buy one more cup of coffee each year, the sector will grow its sales by 1.8 billion yuan, or an 11% yearly growth - an eye-catching performance compared with the 5% FMCG growth in China or nearly 7% GDP growth of the whole country. Apparently Starbucks is not blindly opening more stores in China. Kantar Worldpanel China's OOH panel has shown that Starbucks have recruited more customers than any other fresh coffee vendors - it reached 43% by November, a distant leader to KFC (34.9%) and McDonald's (22.6%). Firstly, it is wasting no time in opening new stores. Since 1999 when it first entered China, the company have opened 2,000 stores in China, tying the number of McDonald's outlets. Given the plan of 500 new stores within this year, we can expect another strong year from it. Secondly, Starbucks have become an icon of a lifestyle itself and many Chinese people are willing to try it. Kantar Worldpanel China's OOH panel data shows that the top two reasons people go to Starbucks is because "I always buy it" and "I want to try it", which means Starbucks on the one hand recruited many shoppers as their loyal fans, and on the other hand has established itself as the standard of fresh coffee. It has become the No.1 choice for anyone who wants to try fresh coffee in China. It is equally interesting to see that 16% of Starbucks' customers go there as a reward to themselves. The ratio is higher than the sector's average, implying that the retail environment and brand positioning are good enough to "sell" the Starbucks brand to Chinese consumers as a premium choice. Based on these abovementioned analysis, we can see that Starbucks has become the pioneer of fresh coffee in China and is spearheading this segment's growth in tier-1 and -2 cities, as well as development in smaller cities in the future. Its success comes from its aggressive store opening plan and brand construction as well as internal quality control. Of course, we have noticed more and more fresh coffee brands have entered China and there are challenges looming on the horizon. Kantar Worldpanel China will continue to monitor this sector and update our readers on latest developments.